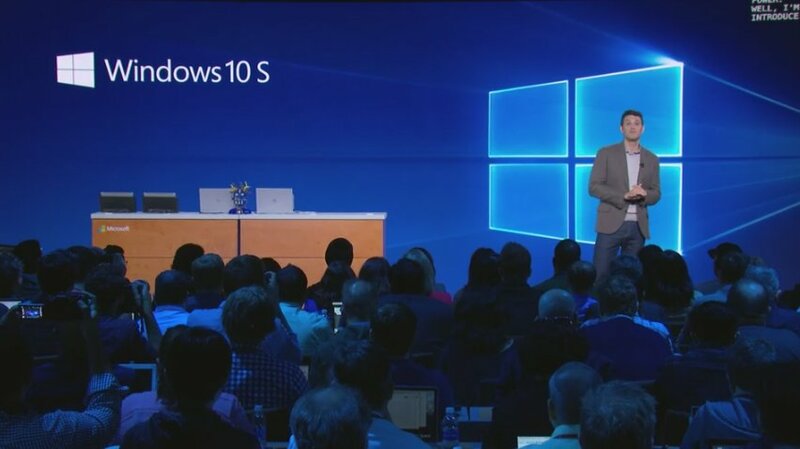 Microsoft has unveiled Windows 10 S to compete with Chrome OS. Previously, leaked and known as Windows 10 Cloud only supports apps from the Windows Store. One of the big targets for the new version of Windows 10 S, and the associated hardware is battery life. While the OS is identical to a regular copy of Windows 10, Microsoft wants to improve battery life by limiting the software to Windows Store apps. Microsoft is also working on a new power throttling feature for its next major Windows 10 update in September, to help reduce background task interference with battery life. Windows 10 S will take around 15 seconds to be ready for a student to login and use. Other improvements include the ability to setup machines using a USB drive with preconfigured options. Windows 10 S will simply detect the key and customize all settings ready for a school. Windows 10 S will also be free for all schools that are currently running Windows 10 Pro PCs, and include a free subscription to Minecraft: Education Edition, free Office 365 education with Microsoft Teams. Windows 10 S devices will start at $189 this summer.